Suddenly there was a buzz, hardly opening my eyes. Bedroom glowing from my cellphone’s blue light. Looking at the screen, Kiarostami is gone. I needed few more seconds to digest the news. rapidly Checking the news feed, yes, he is really gone. Dumping my heavy body back to bed. Looking to the nothingness, darkness and ambiguity of the night. My mind shoots me to the strange and crowded cinema in the southern part of Tehran, where I had been confronted with Kiarostami’s cinema for the first time. I was hardly 15. As a junior whom attending his first year of high school I was ready to exploit every opportunity to grasp the new Worldviews. By the time, my schoolmate was into artistic cinema, so he had to drag me with himself, and we almost traveled from the north to the south part of Tehran to see Life, and Nothing More…. Movie started accompanied by Pink Floyd Music; Time and pitch black darkness. Then to constitute a suspenseful opening, the camera opened up into a small road between remaining debris, left from a devastating earthquake in the north part of Iran. Journey starts to emphasize human life conditions in aftermath of such a horrifying event and then magic appears, slowly but continuously. Kiarostami passionately collects pieces of pure life between such displacement, dusts them off and glues them back together with the tangible humor of survivors. In a long shot; a young man walking up a hill carrying a giant china toilet on his back. A vehicle stops, and a driver offers him a ride. Later on, a conversation starts in the car. Now the young man is being questioned by the driver; as to why he carries such heavy item all the way up to the camp? He responds by “the dead are dead, and the ones whom are left alive, they need to do number 1 and 2 (Toilet)”. Such an answer simply emphasizes that life is going on. Searching for life in impenetrable situations and vigorous conditions becomes one of the decisive Sub-layers of Kiarostami’s Cinema, and one that would recur in many of his best movies. Two years later, In Through the Olive Trees (1994, the) same question applies through a different concept. The Director asks from the recently married guy that, how many of your family and bride’s family died during the earth quake, and he responds with a large number. Then the director asks? So why did you get married after such a heartbreaking event? The groom answers, we though what if another earthquake occurs and we lose our lives, so why shouldn’t we get married prior to such incident? Abass Kiarostmai, intelligently eliminated unnecessarily elements from his frames, and allows nature to perform its own main role in long takes and slow tempo narrative. In a minimalistic way he seeds a simple question in the heart of the story and provides ample time for spectator to digest it. Later on, in Taste of Cherry (1997); which brought him Palme d’Or at the Cannes Film Festival for, Kiarostami camouflages the beauty of living through a discourse of suicide. 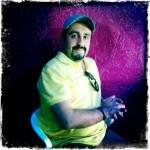 A desperate upper-class Iranian man searching to find someone to help him to commit suicide. During his pilgrimage process, he meets many candidates, and every single one of them condescendingly tries to dissuade him. But as Kiarostami’s way, he poetically hides the truth behind a hard surface. 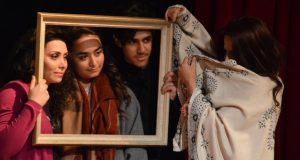 There is a scene where the main character is trying to persuade an Afghan seminary student, whom also works as a simple laborer, to help him to commit suicide. Between a ping-pong conversation around the subject of existentialism, the Afghan guy offers the main character to join him and his friends for lunch, and share an omelet. The main character persistently responds that he can’t eat eggs because he’s concerned about his cholesterol level. One more time kiarostamti weaves a mesmerizing narrative with, playfulness, optimism and simplicity. Same fundament applies in The Wind Will Carry Us (1999). Filmmaker deftly juxtaposes black and white, life and death to challenge his audiences with a state of coherence of antithetical elements. the consequence of Aligning such define yet invisible characteristics is inevitable. Therefore, magic happens in front of your eyes and finding answers rumbles the audience’s perceptions. Of course He leaves the ending of most of his films open with plural possibilities. 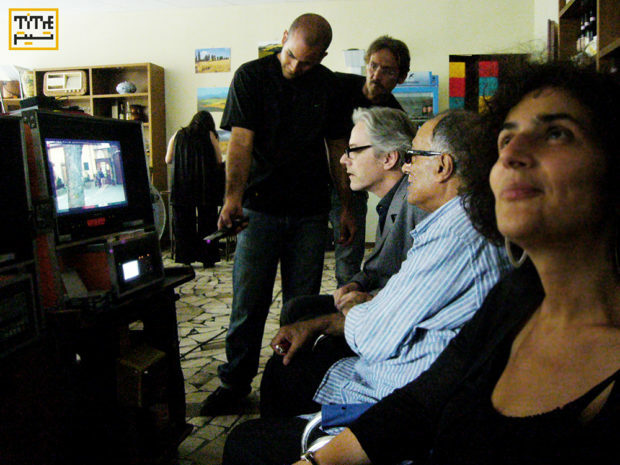 Kiarostami, invites the spectators to become an author and finalize the story in their own way. As a result of such an engagement, Kiarostami stretches his film in every single mind for the longest time; as everyone’s film starts/continues in their own imaginations as soon as the ending titles of Kiarostami’s film roll. 24 years later from that experience, Kiarostami still consistently demystifies my vision and thoughts. He even utilizes his own death news to embody the nothingness of death and reminds me that life is still streaming through the touched hearts and philosophy he left behind. My alarm clock goes off. Hardly opening my eyes as Kiarostami voice resonates; question marks are the punctuation of life. 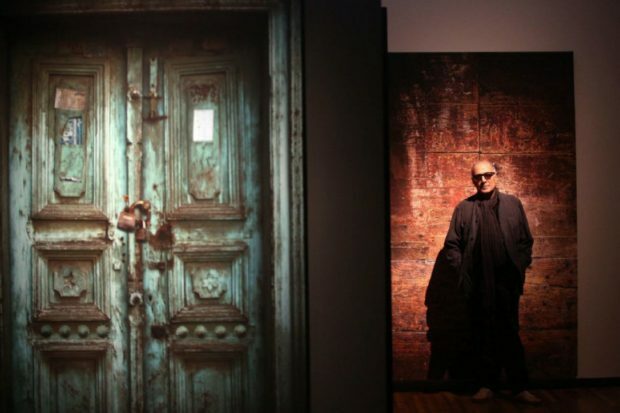 Abbas Kiarostami was an Iranian film director, screenwriter, photographer and film producer. 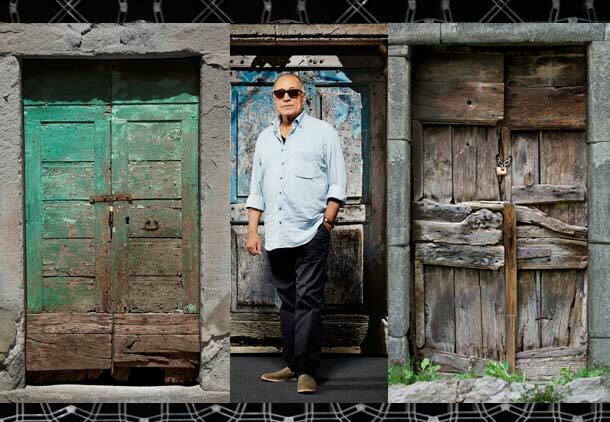 An active film-maker from 1970, Kiarostami had been involved in over forty films, including shorts and documentaries. 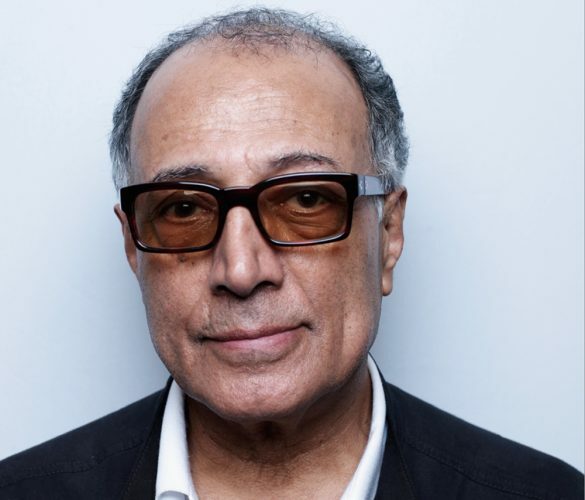 Kiarostami attained critical acclaim for directing the Koker trilogy (1987–94), Close-Up (1990), Taste of Cherry (1997) – which was awarded the Palme d’Or at the Cannes Film Festival that year – and The Wind Will Carry Us (1999). In his later works, Certified Copy (2010) and Like Someone in Love (2012), he filmed for the first time outside Iran: in Italy and Japan, respectively. 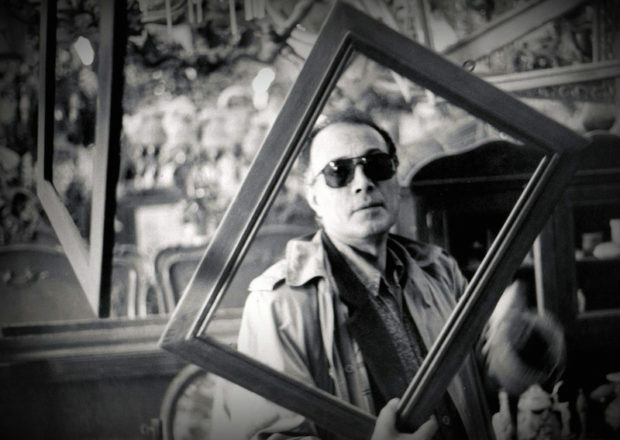 Kiarostami was part of a generation of filmmakers in the Iranian New Wave, a Persian cinema movement that started in the late 1960s and includes pioneering directors such as Bahram Beyzai, Nasser Taghvai, Ali Hatami, Masoud Kimiai, Dariush Mehrjui, Sohrab Shahid Saless and Parviz Kimiavi. 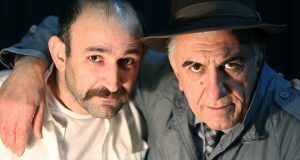 These filmmakers share many common techniques including the use of poetic dialogue and allegorical storytelling dealing with political and philosophical issues. 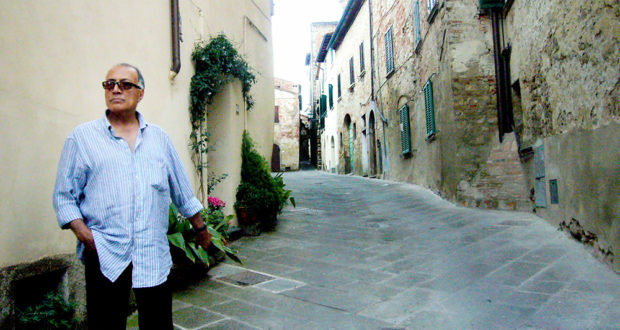 Kiarostami had a reputation for using child protagonists, for documentary-style narrative films, for stories that take place in rural villages, and for conversations that unfold inside cars, using stationary mounted cameras. 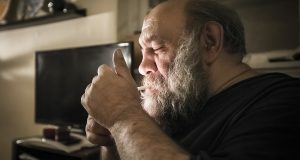 He is also known for his use of Persian poetry in the dialogue, titles, and themes of his films. Kiarostami’s films contain a notable degree of ambiguity, an unusual mixture of simplicity and complexity, and often a mix of fictional and documentary elements. The concepts of change and continuity, in addition to the themes of life and death, play a major role in Kiarostami’s works.